This month, BACS launched a historic new program to address the housing crisis in Oakland – by preventing homelessness before it starts. Keep Oakland Housed (KOH) will prevent Oaklanders from losing their housing through emergency financial assistance, supportive services, and legal representation. At BACS, we receive a thousand or more calls each month from people who are on the brink of losing their housing. KOH means that BACS can answer these calls and say YES, we can help you. 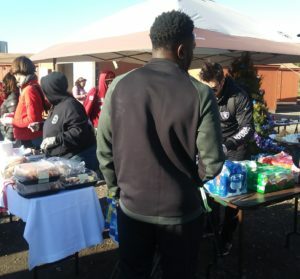 KOH is a partnership between BACS, EBCLC, and Catholic Charities of the East Bay, funded by The San Francisco Foundation and Kaiser Permanente, in partnership with the City of Oakland. If you need help, visit us online here. If you want to sustain this initiative, make a donation today! BACS’ Towne House Wellness Center team wants to celebrate Patrick, Peer Lead at the wellness center. Patrick is often the first person a visitor or member to Towne House sees. BACS services are always expanding, and we are currently recruiting! Check out our career opportunities on our website, and learn more about what makes BACS special. BACS welcomes people of all backgrounds and expertise to apply. Even if you have never worked in the mental health or homeless solutions fields, but you are inspired to make a change, reach out to BACS – we have many training and entry-level positions. BACS provides benefits and perks like: fully covered medical/dental/vision/life insurance, tuition reimbursement for loans and tuition, clinical supervision hours towards licensure, internal growth opportunities, and more! BACS also works with a wide variety of populations, and has many opportunities for learning and advancement. 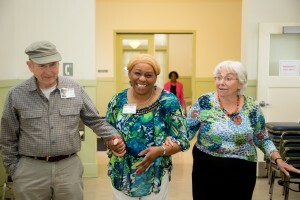 BACS is delighted to celebrate the anniversary of our Oakland Adult Day Center! 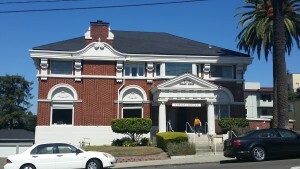 This Memory Care program started in 1987 in Oakland, and for 21 years has been a space where elders with memory disorders can connect with others, socialize, and participate in guided activities. Our services offer respite for caregivers and families. Thank you to everyone who makes our programs special — caregivers, staff, and the participants who come every day! Our work has profound individual and community impacts. Every person that comes to BACS for help can achieve stability, move off of the streets, get a job, live safely with their mental health issue, or stay out of jail. And for each of those success stories, our community gets better. We see fewer people living on the streets or in poverty. We spend less on emergency medical services. We see less of our tax money going to prisons. Your investment in BACS, and in the people we help, transforms our community. Donate to BACS online by clicking here, or via mail to 390 40th Street, Oakland, CA 94609. Make an ongoing impact by donating monthly. BACS is delighted to announce that we are expanding our homeless and housing services to Berkeley! BACS was selected to operate the STAIR Center in Berkeley, which will provide short-term housing and housing placement services to people living in encampments in Berkeley. 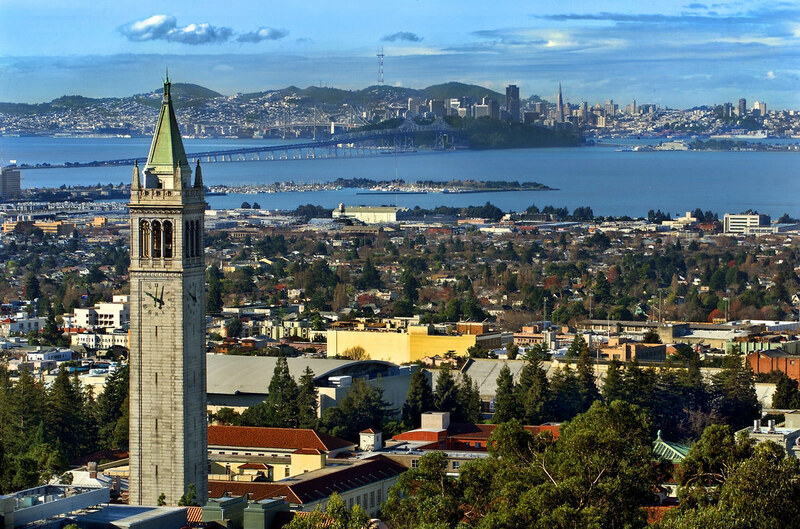 BACS looks forward to bringing our mission and vision to Berkeley. We are expanding rapidly to meet the needs in Berkeley – and you can help. Donate today to help the STAIR Center succeed. Or, if you or someone in your network has an interest in working with the homeless, we are recruiting! Check out open positions here. The Jonathan Logan Family Foundation has offered BACS a $50,000 challenge grant to help end homelessness. We need community support to help us meet this match. You can make a gift towards this goal and double your impact: donate now! BACS’ Forensic Re-Entry and Empowerment (FREE) program recently participated in the very first Forensic Peer Specialist certification class for the State of California! Brandie Greene, Personal Services Coordinator at BACS, presented innovative ideas developed by the FREE team, to help better serve participants across California. BACS’ Landlord Liaison program has been working to house chronically homeless participants who have been living in their cars, shelters, or on the streets. We work with local landlords to find or create safe, affordable housing, which they can then rent to people exiting homelessness. If you are inspired to help, email us to learn more! The gym is free for kids ages 10-18, and has opened its doors to the youth at Thunder Road. They are benefiting from the healthy and fun activity, as well as the welcoming environment. BACS is celebrating the 49 year anniversary of BACS’ Wellness Centers (originally called the Creative Living Centers). BACS opened our Wellness Centers in 1969 to fill a crucial need in the community: welcoming and accessible community spaces for individuals living with behavioral health issues. Our Wellness Centers offer classes and programs, skills-building, and behavioral health services. Our Wellness Centers have made a difference for thousands of people over the last 49 years. Learn more about our Wellness Centers here. Thank you to everyone who makes our Wellness Centers special! 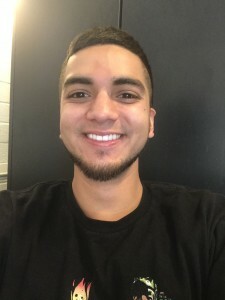 BACS is delighted to announce Mateo Chavez as Employee of the Month! 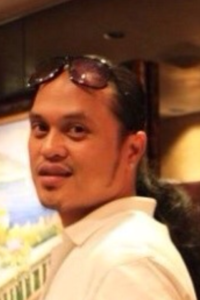 Mateo works with BACS’ Transition Aged Youth (TAY) programs, and is always enthusiastic, flexible, and very positive. Held each April since 1992, Stress Awareness Month is honored by health care professionals and support service providers to increase public awareness about both the causes and possible cures for modern stress epidemics. At BACS, we strive to create and maintain a cooperative effort to support and inform both participants and staff about the dangers of stress. Promoting effective coping and relaxation strategies are integrated within our daily commitment to wellness. Through this mission we aim to reduce harmful misconceptions about stress that are prevalent in our everyday lives and activities. This month, at Hedco Wellness Center in Hayward, we have successfully implemented several strategies for reducing stress including: yoga, baking club, walk therapy groups and peer led arts and crafts. Do you want to join BACS in our mission to uplift under-served individuals and their families by doing whatever it takes? Donate to BACS online by clicking here, or via mail to 629 Oakland Ave, Oakland, CA 94612. Make an ongoing impact by donating monthly! Or, donate gently used blankets, canned goods, and other items to our housing programs. Email us to learn more. BACS services are always expanding, and we are currently recruiting! Check out our job opportunities. Learn more on our website or by calling 510.613.0330. Many people leave a charitable gift in their will. Do you want to make a lifetime of impact in the community you care about? Email us to learn more! BACS is delighted to announce an historic grant from the Thomas J. Long Foundation, which awarded BACS $750,000 to support our senior services. 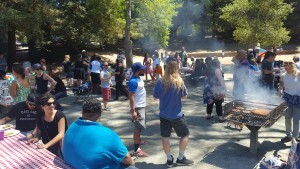 This year, BACS celebrates our 65th anniversary of providing crucial social services in the Bay Area. This foundation partnership supports our work, our sustainability, and our mission. BACS is delighted to announce the confirmations of three new members to the Board of Directors: Rebecca Altman, Judith Bloom, and Darryl Moore. 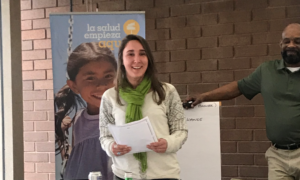 Rebecca Altman has a Master’s in Global Health, is Director at Third Plateau, and has substantial experience with social impact organizations. She is eager to support BACS in building a stronger, healthier, and more vibrant community in the Bay Area. Darryl Moore is a long-time Berkeley resident and public servant, with 12 years on the Berkeley City Council in addition to numerous other positions. Darryl is excited to use his expertise in budgetary analysis and in Bay Area housing to benefit the agency and the community. Judith Bloom is a former BACS Board member, serving from 1989-1996, and has been an active advocate for BACS since then. Judith is also a Certified Public Accountant, is on the Berkeley Symphony Advisory Committee, and is Treasurer of the Berkeley Holiday Fund. Welcome to the BACS Board, Darryl, Judith, and Rebecca! To read more about our new members, see the full announcement here. BACS Wellness Centers Celebrate 48 Years! BACS is pleased to celebrate the 48 year anniversary of BACS’ Wellness Centers (originally called the Creative Living Centers). BACS opened our Wellness Centers in 1969 to fill a crucial need in the community: welcoming and accessible community spaces for individuals living with behavioral health issues. Our Wellness Centers offer classes and programs, skills-building, and behavioral health services. Our Wellness Centers have made a difference for thousands of people over the last 47 years. Learn more about our Wellness Centers here. Thank you to everyone who makes our Wellness Centers special! 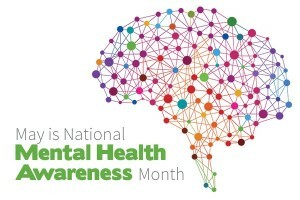 May is just around the corner, and it is time to celebrate National Mental Health Awareness Month! Mental health is essential to everyone’s overall health and well-being, and mental health issues are common and treatable. 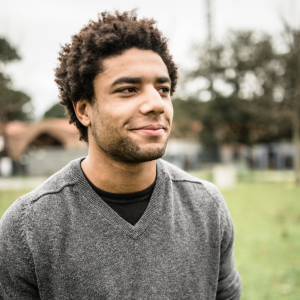 If you or someone you know is experiencing behavioral health issues, you are not alone! Learn more about BACS and get help, make a difference for your community, or share your story with us today. BACS is delighted to announce Daniel Sanchez, Peer Counselor at BACS’ Solano Crisis Residential Center, as Employee of the Month for April! Ursula Sears Promoted from Within! Ursula Sears, previously a BACS Peer Counselor, has been promoted internally to Program Supervisor at BACS’ Hedco Wellness Co-Op in Hayward. BACS is accredited by CARF, an international independent accrediting body, whose focus is on ensuring high-quality services. Check out our newest program addressing the housing crisis.